More and more people, businesses and organisations are starting to realise that the future is electric. So, as a company at the forefront of the electric revolution, we’re committed to offering our customers the latest innovations in eMobility – that’s why we’ve introduced a brand new electric motorbike series into our range! This blog explores the features and benefits of each bike to help you decide whether an electric motorbike is right for you, and which E-Rider is right for your needs. The Model 50 electric motorbike is the ideal choice for commuters looking for high power with additional storage. With a top speed of 50 mph, a generous range of up to 80 miles and stylish features including an awesome digital display and LED lights, this electric motorbike is both practical and great fun to ride. This is simply one of the most powerful electric models you can drive on UK roads! The bike has a top speed of over 60mph, and its powerful motor will propel you from 0-50 in only four seconds! Features also include spacious under-seat storage, a reverse gear and two USB sockets – ensuring your gadgets are never out of juice! This electric motorbike features all the benefits of our model 60, but with a quicker speed of 75 mph, it is ideal for thrill seekers looking to lower their carbon footprint! The bike also comes in your choice of a blue or green finish. Whichever choice you make, you’ll really look the business! 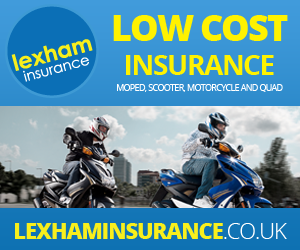 All our electric motorbikes are available to lease from only £100 per month, allowing you to split the cost into simple monthly payments. But of course, due to the power of these electric motorbikes, the requirements to ride one legally differ slightly to our standard electric bikes. So, be sure to check them out in full on our product pages! See our full range and choose your model here.